When it comes to working out, let's face it, we all break the rules here and there. We set up high expectations, stick to it for a couple weeks, and slowly working out goes to the back burner. If this is something you're guilty of, it's okay...me too. (And for those who are totally dedicated to their weekly fitness goals, congrats; you inspire me!) For months now, I've been in a workout slump where it was easy to crawl into bed after a long 8 hour work day. I mean, what amount of energy is left of me to give? Realizing this happening more and more often, I knew something in me had to change. This wasn't how I imagined my life to be. So I started small and made little weekly, realistic changes. I've incorporated more cardio, stretching, and toning into my weekly routine. It's not much but it's a start and sometimes that's all we need to do to get the ball rolling. Another thing I've noticed that helps put me in the zone to workout are cute fitness outfits - seriously! If you have clothes you like to wear then it really does help to make wanting to go work out easier. 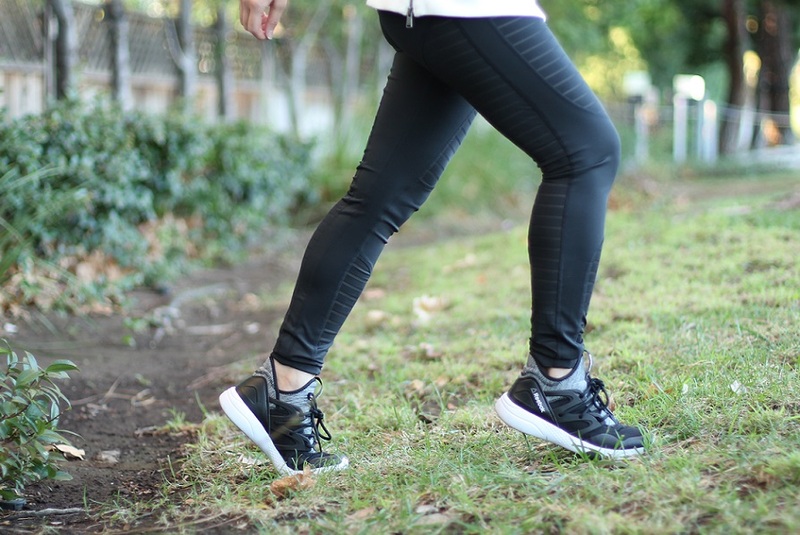 Being a total leggings-kind-of-girl, I was majorly obsessed with these mesh ones from Reebok and their oversized sweatshirt (that's perfect for a late night market run!) to help keep me on my fitness track during these cold weather months. I like how each piece has its own subtle design that can be worn separately or together. With that said, it's time to make less excuses and be more active. You don't have to wait until the new year to make new resolutions! You can start NOW. What are some of your favorite workouts? I have never owned a gym pass (running and lifting weights just hasn't been my thing) so I would love to hear what you do to stay fit. *This post is sponsored by Reebok. All opinions expressed are my own.